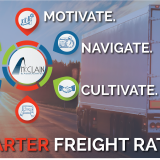 In a recent article posted by Logistics Management, “2017 Rail/Intermodal Roundtable: Volume stable, business steady” Intermodal experts shared what we already knew, but what many shippers aren’t taking advantage of: Railroads have re-positioned themselves as an effective and trusted alternative to OTR Transportation. 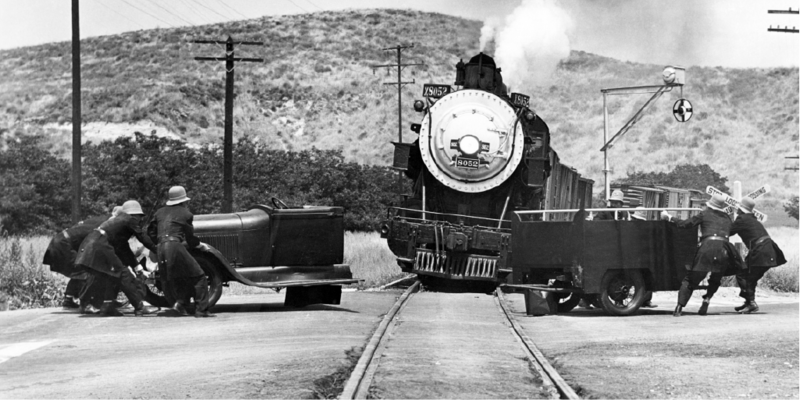 If you’re not shipping local, consider intermodal! We are taking full advantage of the improvements of rail infrastructure, and our clients that are doing so are reaping the benefits. 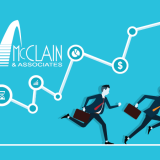 Converting truckload shipments to IMD with a trusted IMC has cost benefits, service benefits, and environmental benefits, however, we have found that many shippers still have a (false) negative perception of IMD. 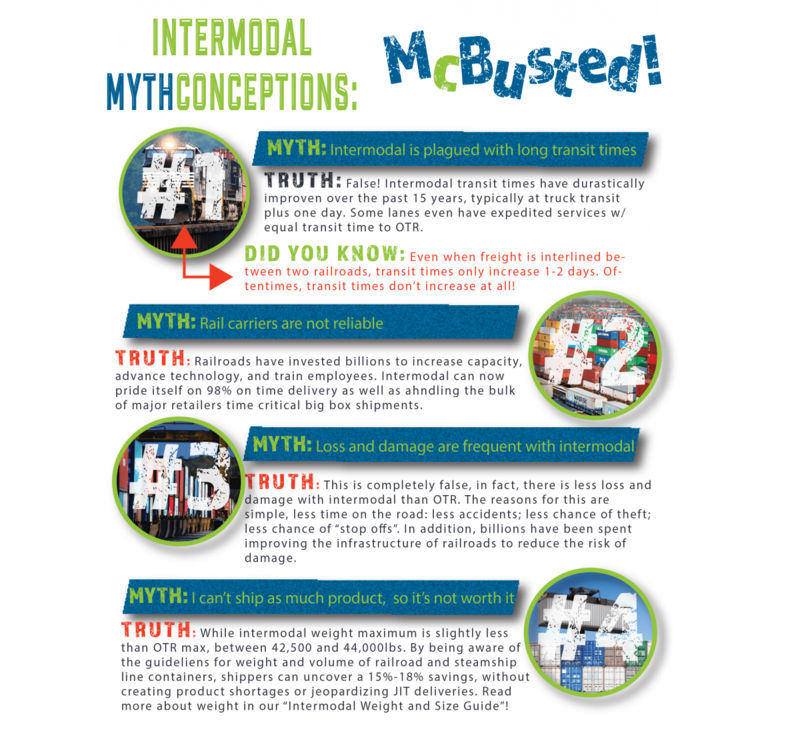 As a result, we have created our Intermodal Myth-Conceptions info-graphic, putting shippers minds to rest and ensuring them that rail is a viable alternative to OTR transportation. 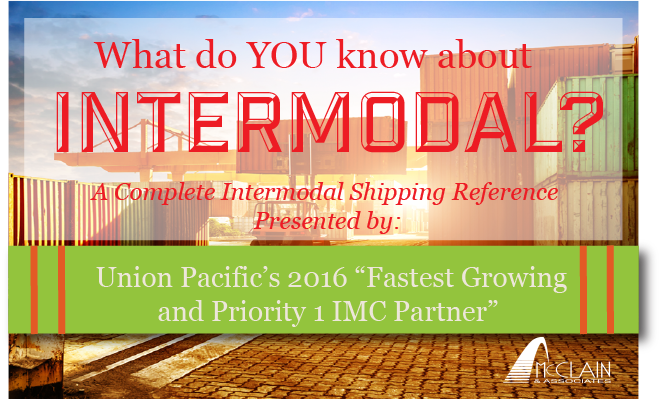 Check out our McClain’s Intermodal Guidebook for more information!